Motorola Moto G3 (G 3rd Gen 2015) has been officially launched in India. The new Moto G 3rd gen G3 comes with improved specifications over its previous generation, Moto G2. It comes with 5-inch 1280 x 720 pixels HD display with Coming Gorilla Glass 3 protection. Moto G3 drwas the strength from 1.4 GHz quad-core 64-bit Qualcomm Snapdragon 410 (MSM8916) processor integrated with Adreno 306 GPU. The Motorola Moto G 3rd gen comes in two variants one is with 1GB RAM and 8GB internal memory while other with 2GB RAM and 16GB internal memory. Further memory expansion can be made via microSD card up to 32GB. The phone runs on latest Version of Android 5.1.1 lollipop. It will compete (VS) with Lenovo K3 Note, Asus Zenfone 2, Yu Yuphoria Plus, Xiaomi Redmi 2 Prime , Coolpad Dazen Note 3, Redmi Note 2 Prime, Mi4i and Samsung Galaxy Grand Prime. The Moto G3 Gen 3 packs with 13MP camera with LED flash and 5MP front camera. It also has IPX7 rating for water resistance. It is 11.6 mm thick and weighs 155 gram. There is 4G LTE connectivity with Dual SIM support. It is powered by 2470 mAh battery. 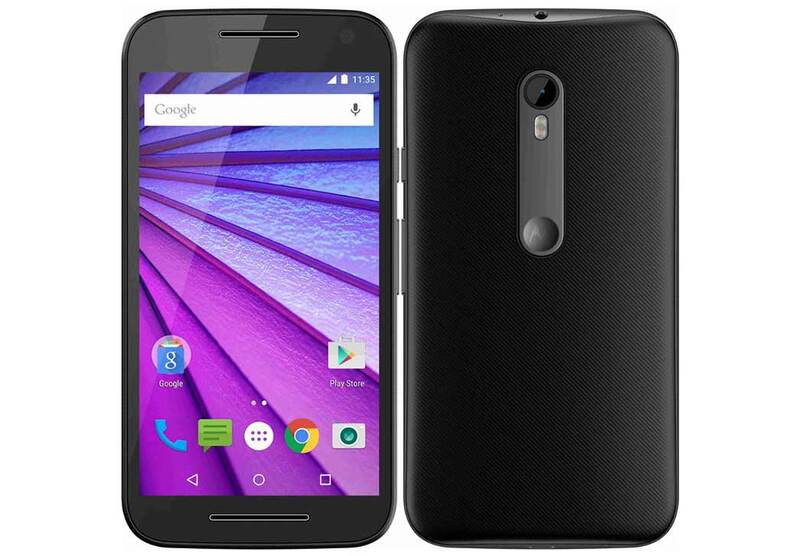 Motorola Moto G 3rd gen is available in Black and White colors. The 1GB model will cost you RS 11,999 while the 2GB version is priced at RS 12999. You can buy it online Exclusively from Flipkart.